Did you know that there are healthy benefits of taking Lemon water to start your day.? Lemon Water is the simple and surprisingly healthy internal cleanser. You may try taking it every day in warm or in chilled water. It’s also far better to use real lemon juice. Natural enzymes, antioxidants, and vitamins are also likely to be lost in the manufacturing process so go for real lemons for the most benefits. Squeeze it in a Citrus juicer like this. 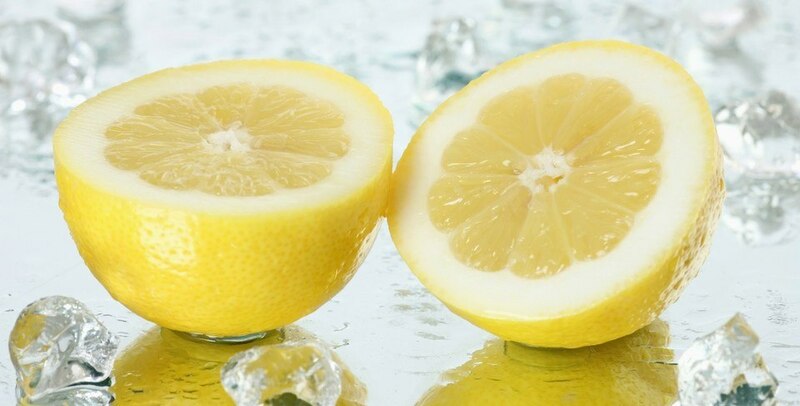 Remove the seeds and pour water over the juicer to get as much of the lemon as possible. Then pour it into a glass and drink it straight down. There are a lot of health benefits associated with fresh lemon water these 12 good reasons are originally posted via healthambition. Fresh lemon water, especially first thing in the morning, can help relieve or prevent digestive problems like bloating, intestinal gas and heartburn and stimulate better digestion in general. Lemons are antiseptic and have a powerful cleansing effect on you liver, kidneys and blood. An overworked liver, in particular, has an influence on how good you feel so having a simple way to cleanse it each morning can make a big difference to your daily energy over time. Lemon water in the morning is a great way to get a good portion of your essential daily vitamin C. They are also a good source of folate and minerals like potassium, calcium, and magnesium. The high mineral content of lemons makes them alkalizing to the body, despite their citric acid. It’s actually not the acid content of a food outside the body that determines whether it will have an acid or alkaline effect, but rather the way it is metabolized during digestion that counts. Lemon water assists in elimination and will help prevent either extreme of constipation or diarrhea. Another good reason to have them first thing in the morning. Drinking lemon water is even said to be good for improving your skin. The high vitamin C content would help here, but the overall cleansing, detoxifying, antibiotic and antioxidant effects are likely to be even more important. Limonoid glucosides are an interesting flavonoid compound present in lemons that some research has shown may have anti-carcinogenic properties. Its protective effect also seems to last much longer in the body than most other natural anti-cancer compounds. Lemon water helps your liver to produce more bile to aid in the digestion of fats. This makes them particularly beneficial if you’re planning a big breakfast fry up after a heavy night. And realistically, the nutrients in lemon are far more likely to help clear your head than greasy and potentially dangerous sausages or bacon. The antibacterial properties of lemon can help in curing a throat infection. If you have a sore throat you could make a warm lemon drink to sip every couple of hours. That said, if you are having a lemon water every morning you’re probably unlikely to get one in the first place. Personally, I can’t remember ever having a throat infection since I started regularly having fresh lemon water first thing. Lemon water is also thought to decrease the amount of mucus and phlegm produced in the body. If you’re drinking cow’s milk often (a big culprit in mucus production) then lemon water each morning may help to lessen mucus levels in your body. Many weight loss resources cite the benefits of lemon water and its citric acid in fat burning. I’d be cautious of too many miracle claims – you’ll still need to avoid the kind of foods that make you fat, get some good exercise and ideally change your meal frequency to one that improves weight loss potential – but lemon water is certainly a beneficial addition to any body fat reduction plan. Lemon water is a great first thing in the morning to reduce bad breath. The high antioxidant and antibiotic compounds may also help reduce body odor over time. There really are a lot of good reasons to start your day with the freshly squeezed juice of a lemon in a glass of water.